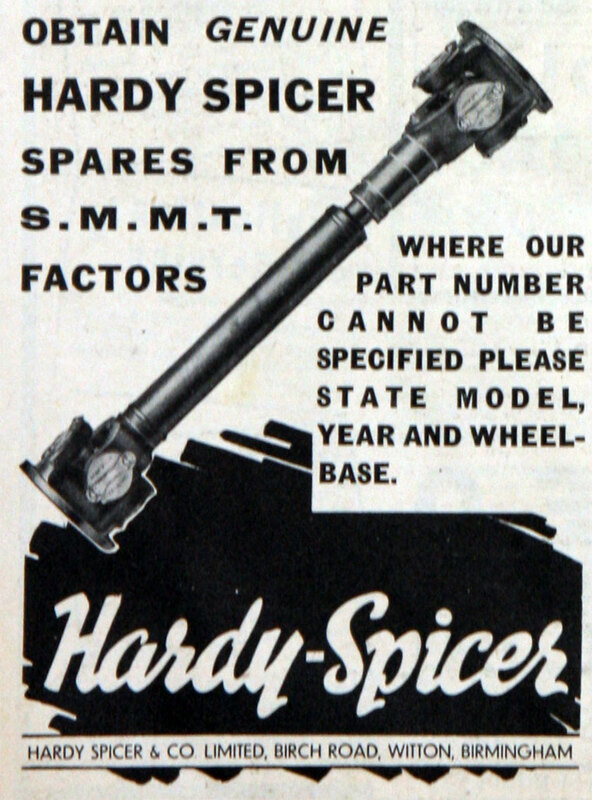 1903 E. J. Hardy and Co was formed to import motor parts from France. 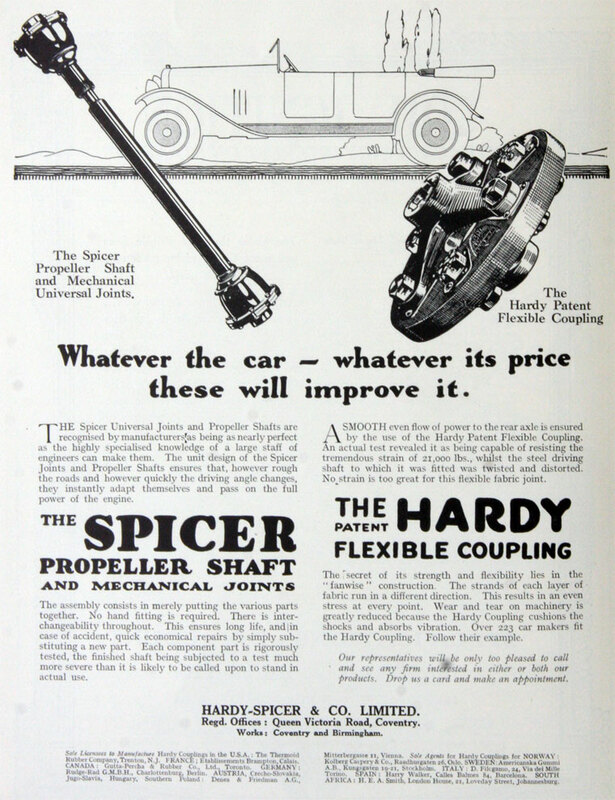 1914 Flexible rubber coupling developed and patented  that became widely used on British cars and trucks; private company E. J. Hardy and Co Ltd was formed to develop it. 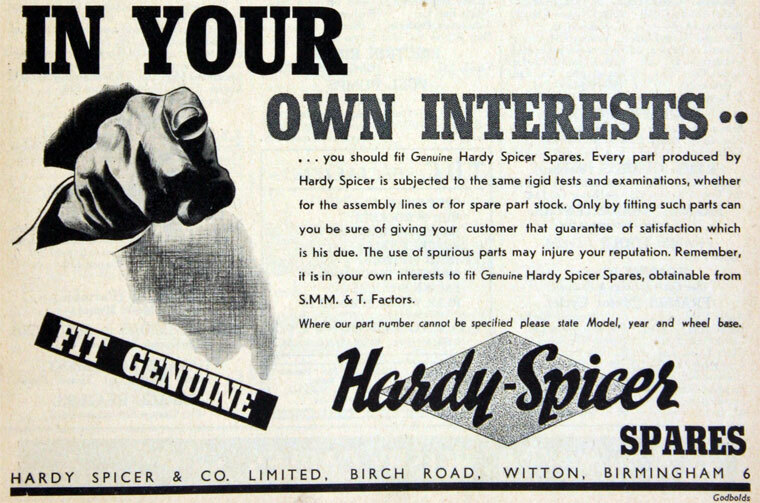 Licence to manufacture granted to US Thermoid Rubber Company. 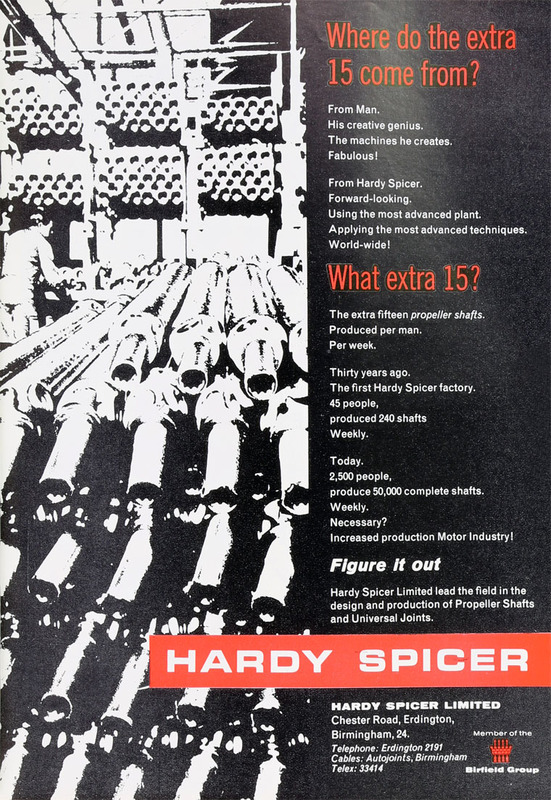 US contacts led to link with Spicer Manufacturing Corporation which acquired shareholding in Hardy, who were granted the British rights to Spicer mechanical universal joint . 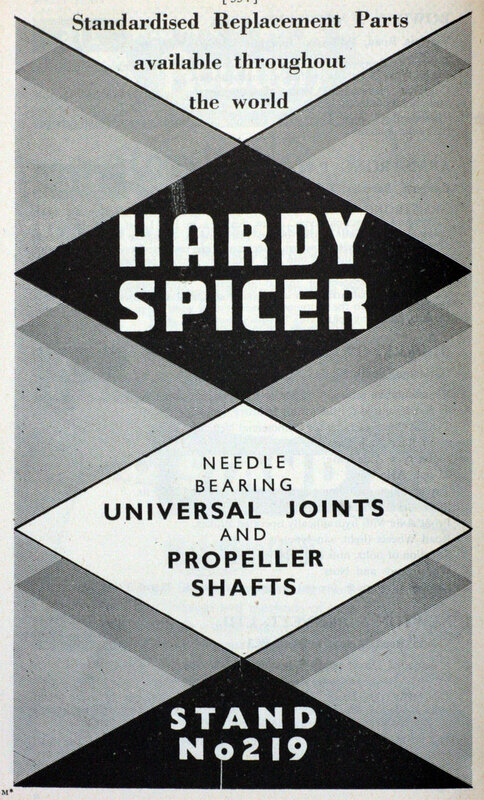 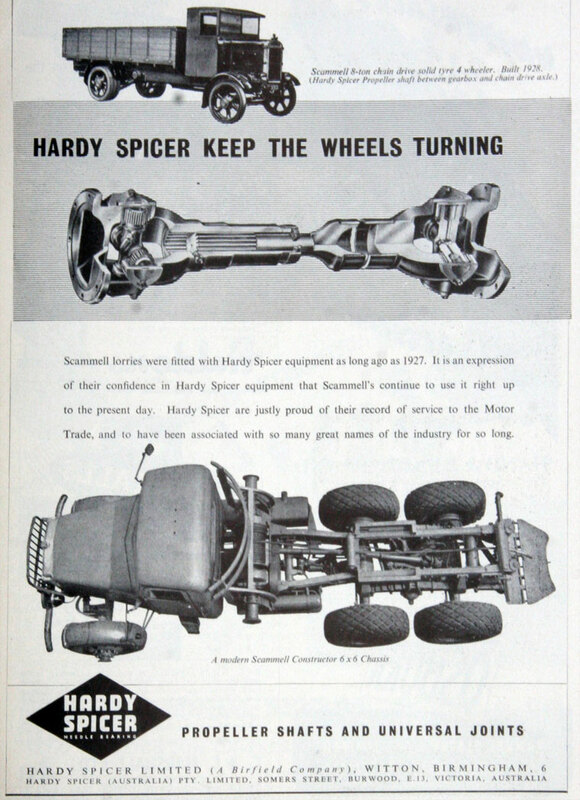 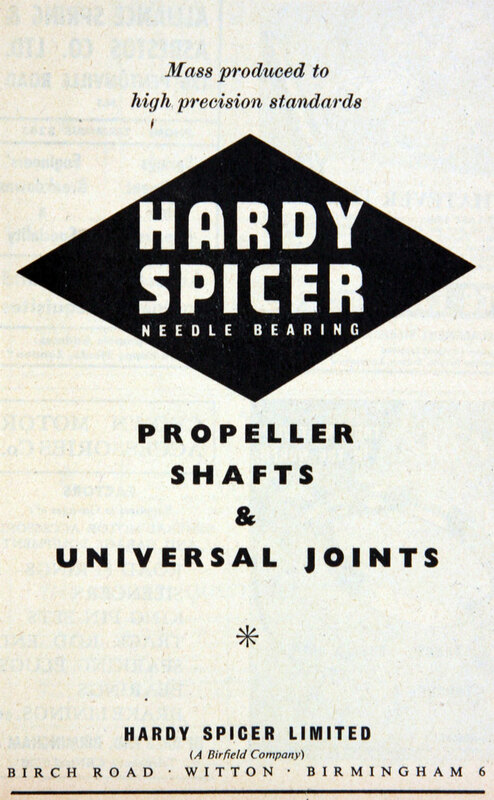 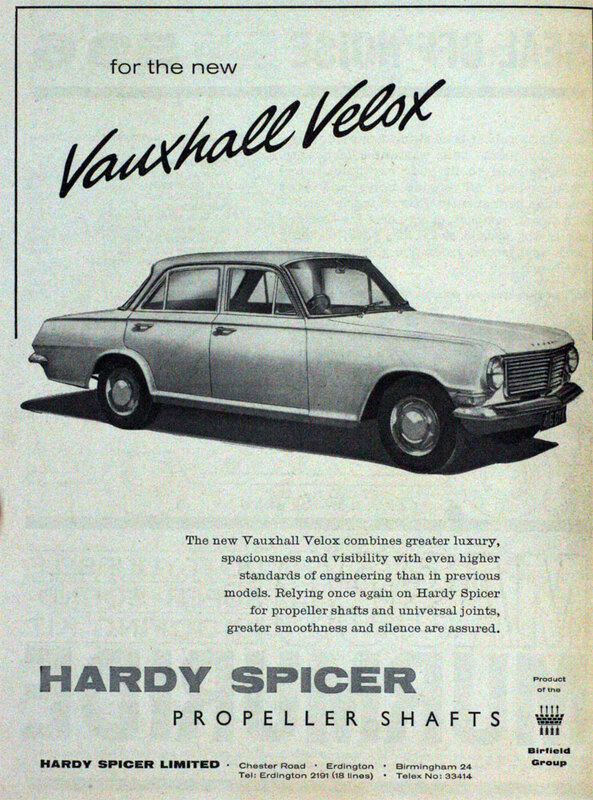 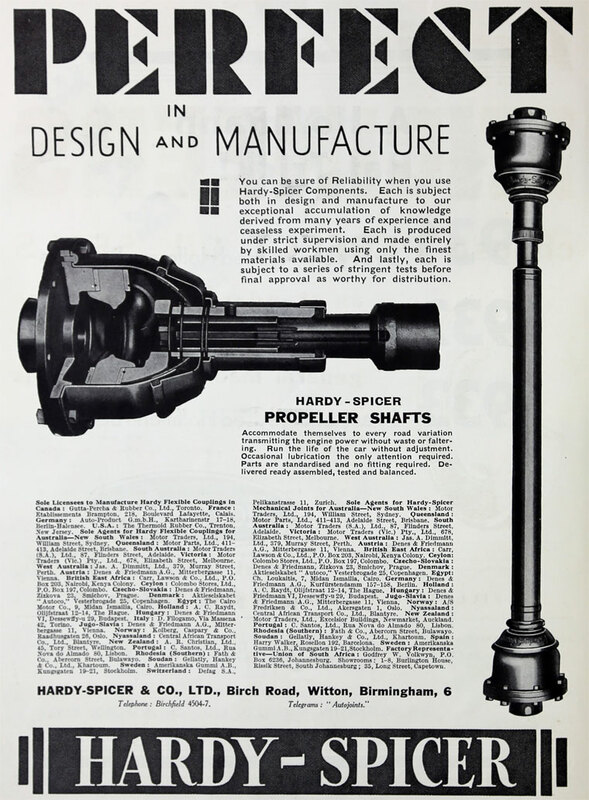 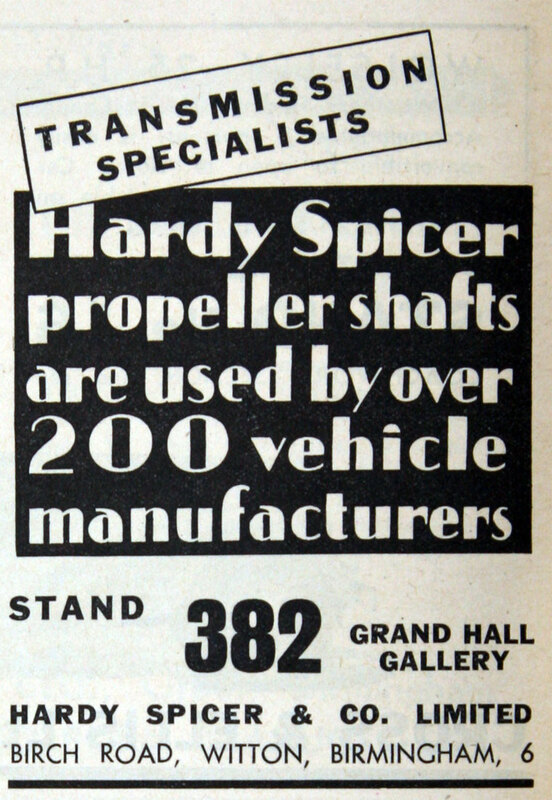 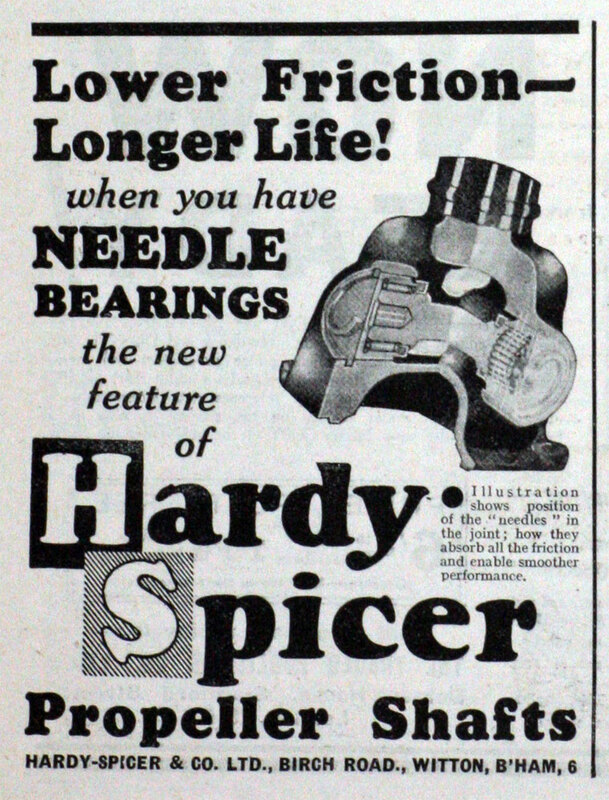 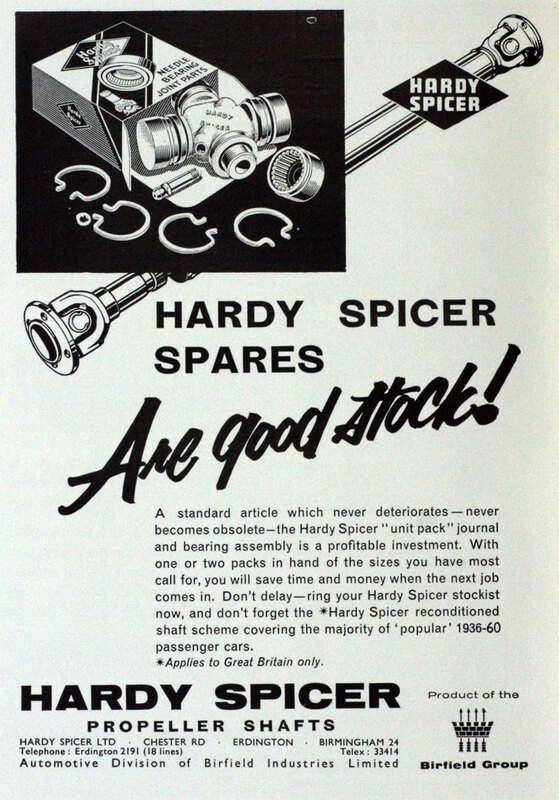 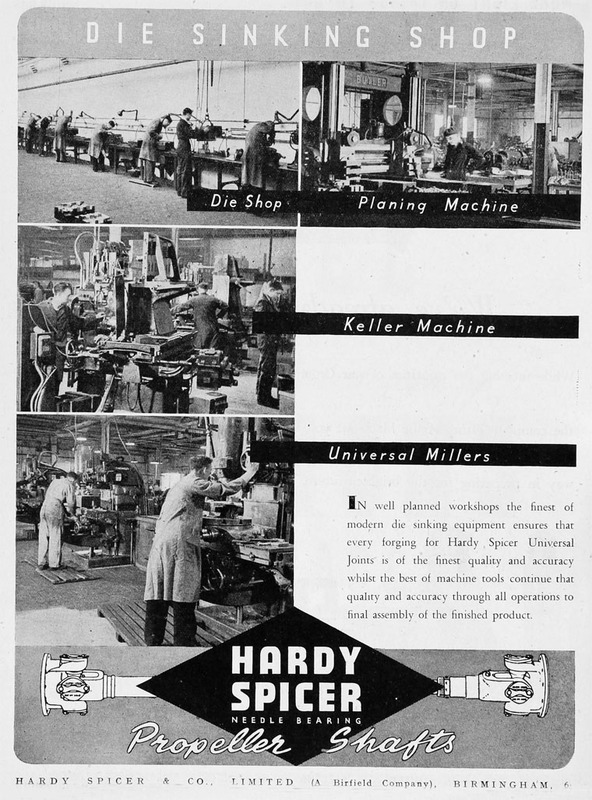 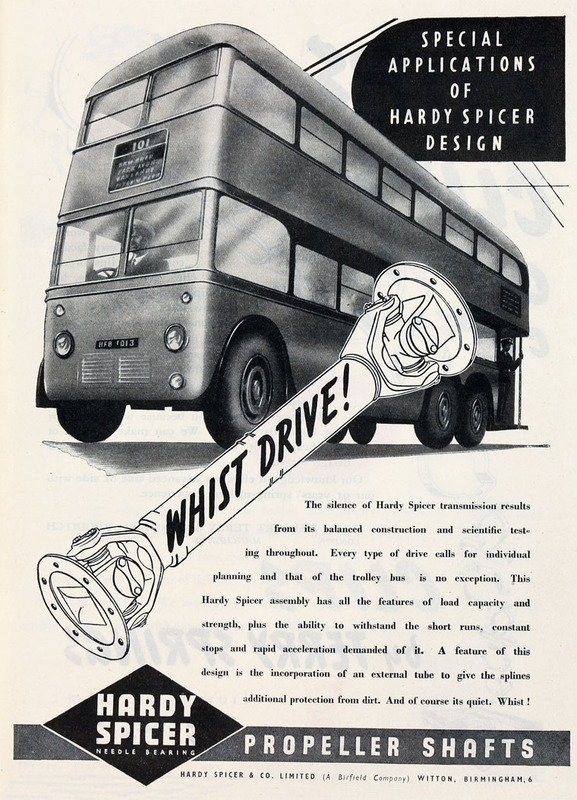 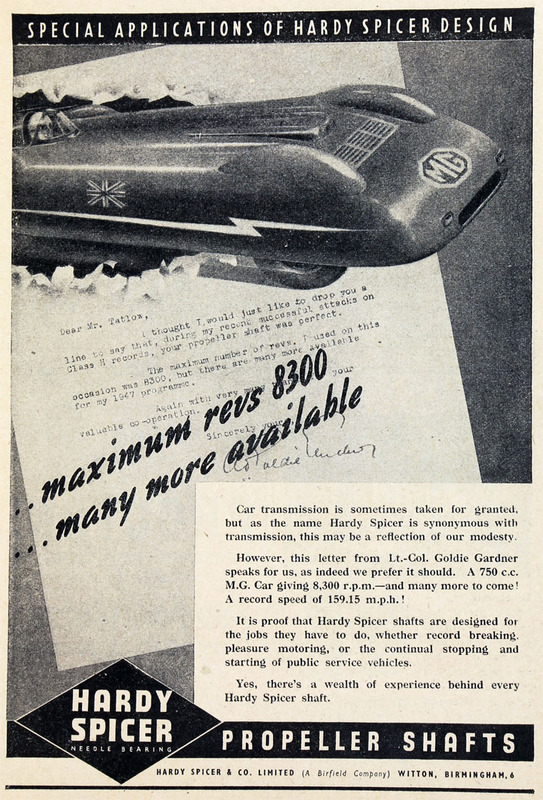 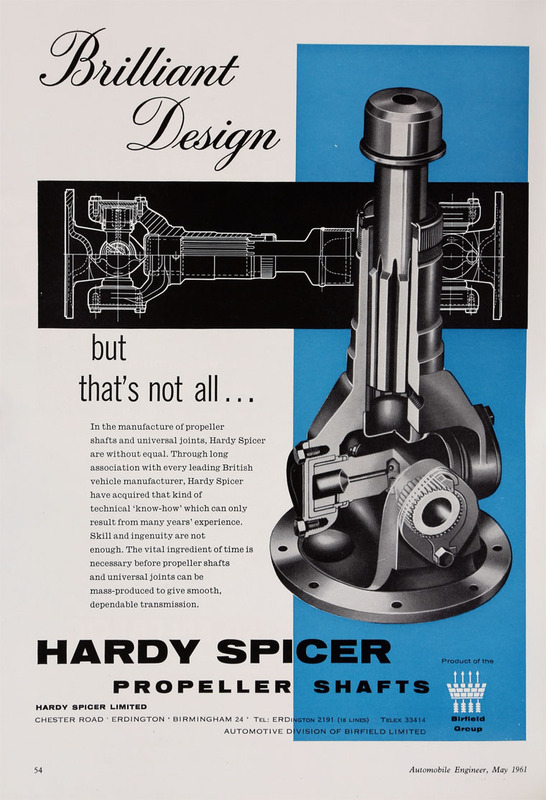 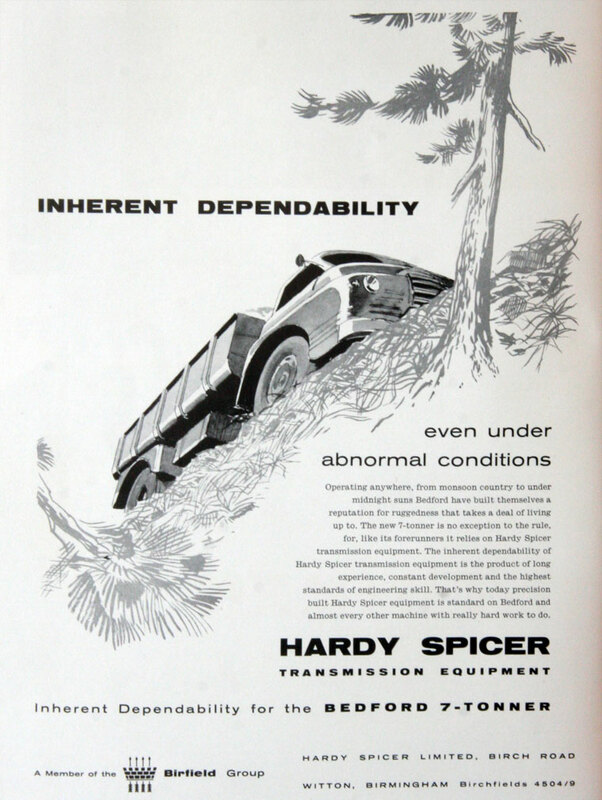 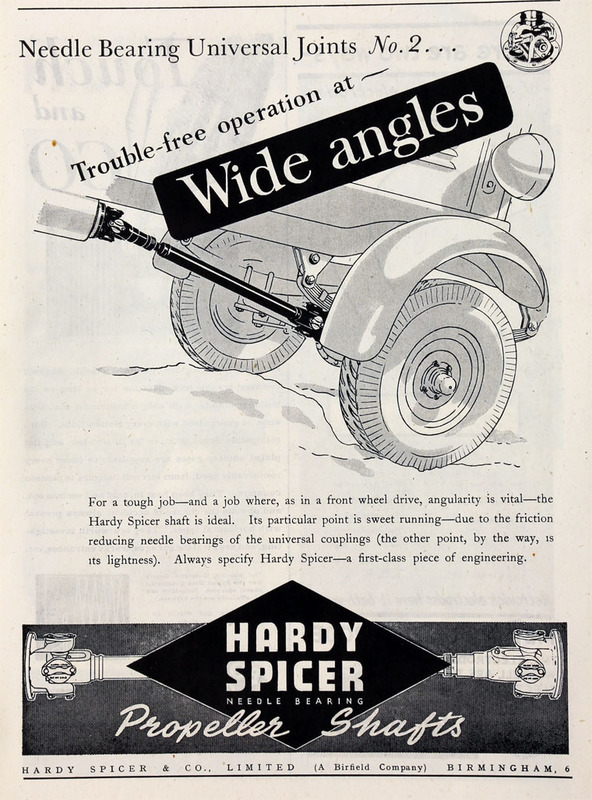 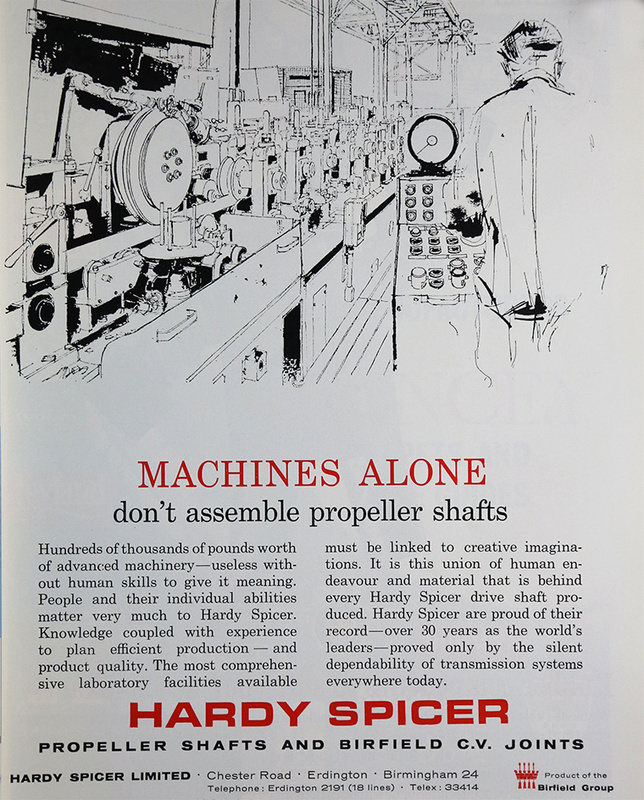 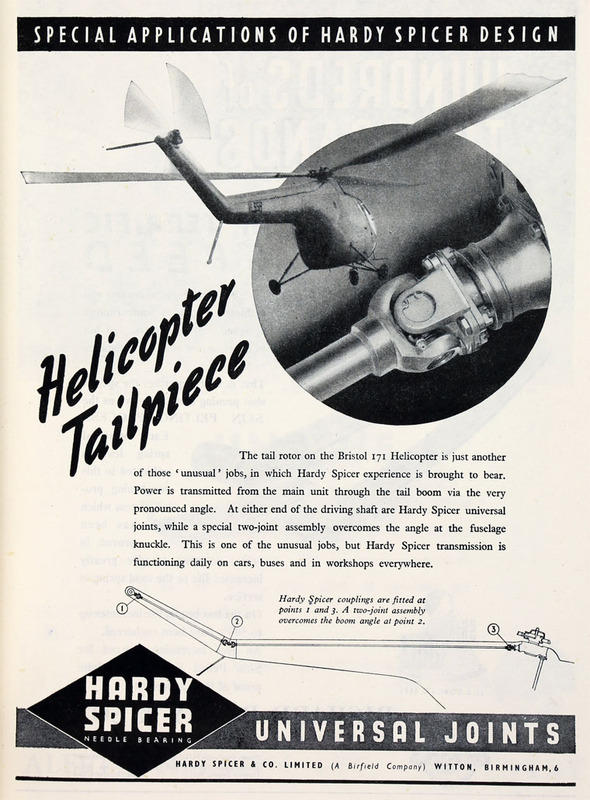 1926 Name changed to Hardy, Spicer and Co.
1937 Manufacturers of propeller shafts and flexible discs. 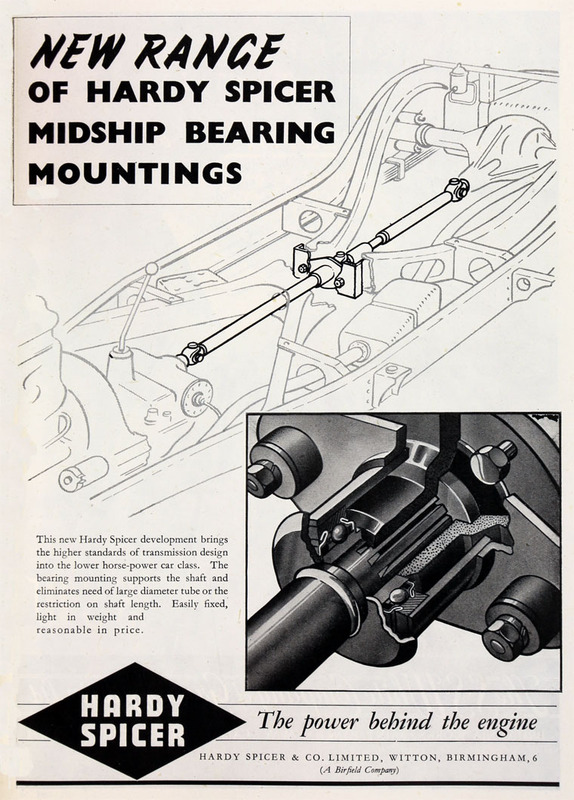 "Bound Brook" Oil-less Bearings. 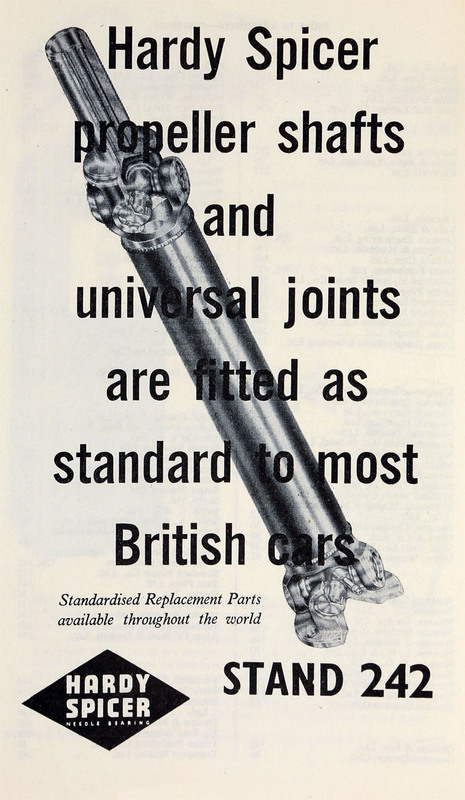 "Compo" Oil-retaining Bearings. 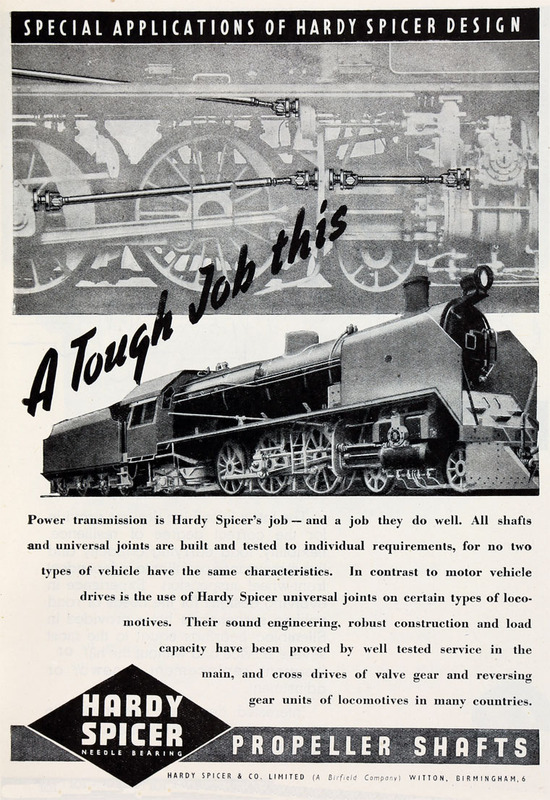 "Genuine Hardy" Flexible Couplings. 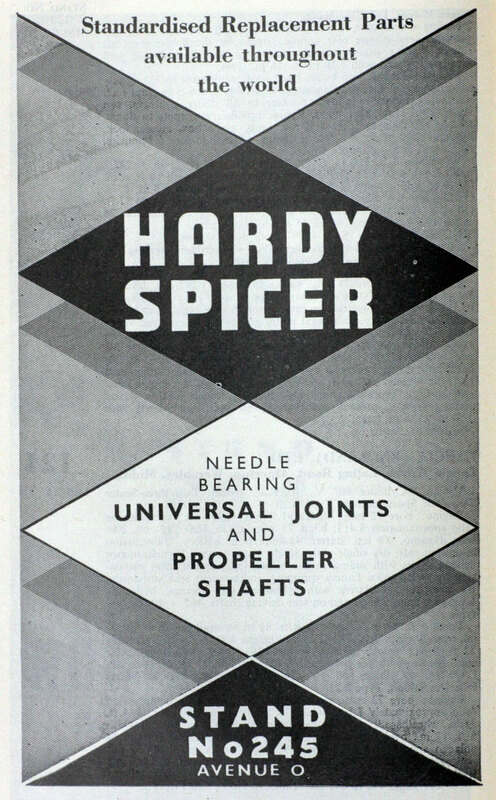 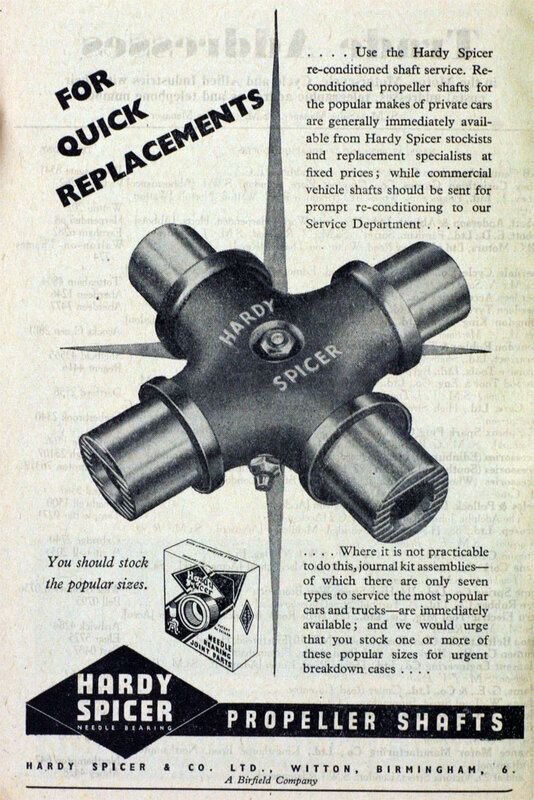 "Hardy Spicer" Universal Joints. 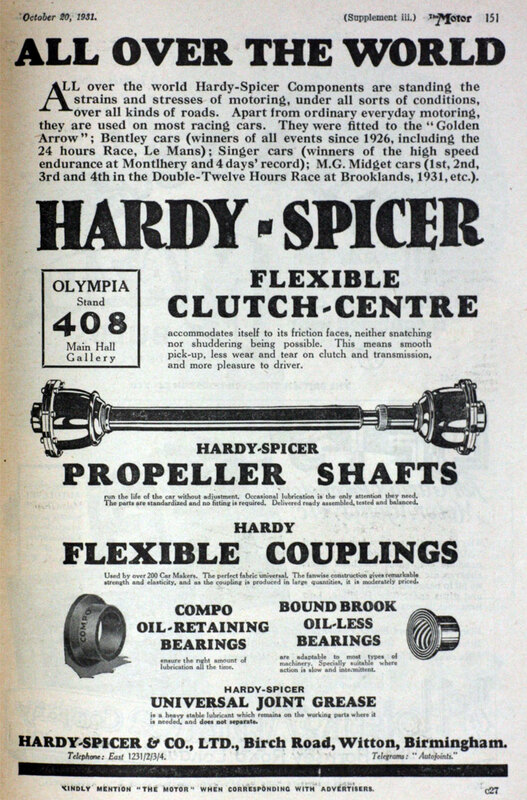 1937 In move to broaden its markets outside the automotive one, purchased Phosphor Bronze Co Ltd.
1938 Invested in their own forging plant which was developed under separate subsidiary Forgings and Presswork (Birmingham) Ltd. New company formed Birfield Industries for purpose of acquiring Hardy Spicer and Co and the undertaking and assets of Laycock Engineering Co .
c. 1939 Salisbury Transmission Co Ltd was formed as a subsidiary to make hypoid rear axles for motor cars but production was delayed by start of WWII; the Salisbury Axle was made by Spicer Corporation in USA which would be valuable experience when production started which was expected after WWII. 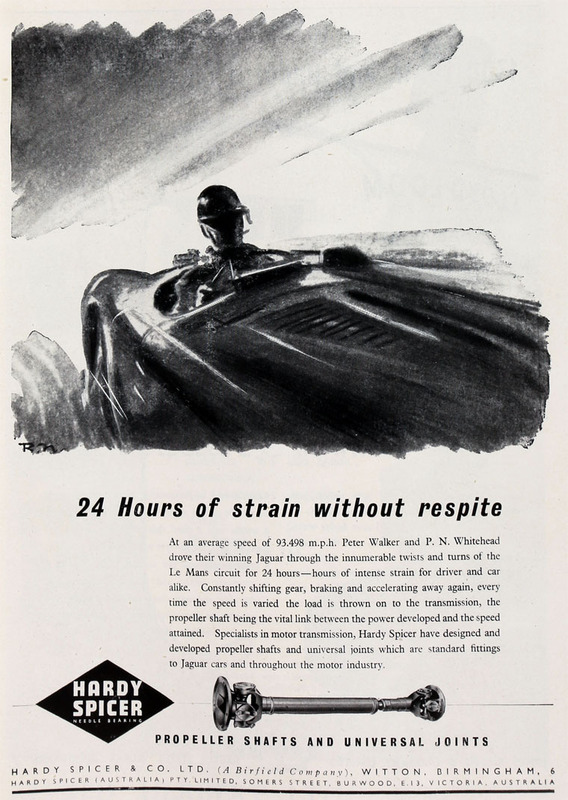 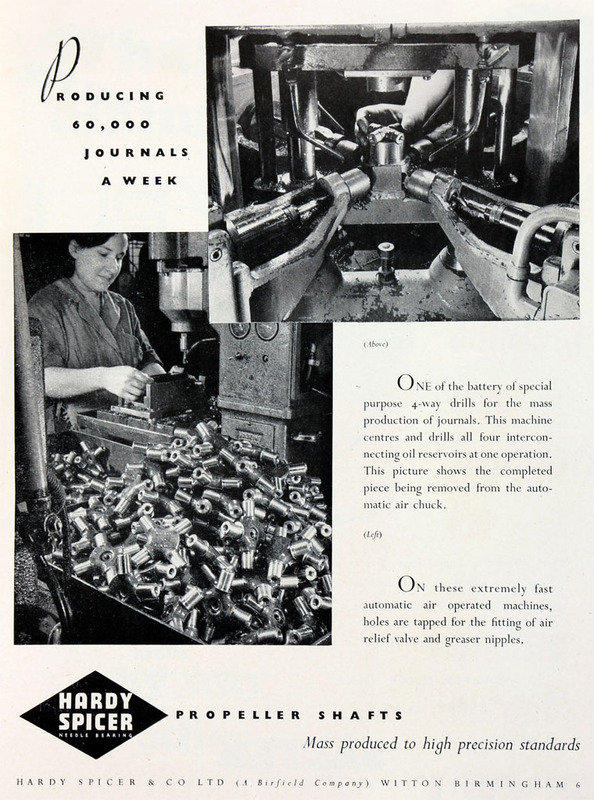 1942 Bound Brook Bearings formed as a private company subsidiary of Hardy Spicer and Co.
1947 Advert. 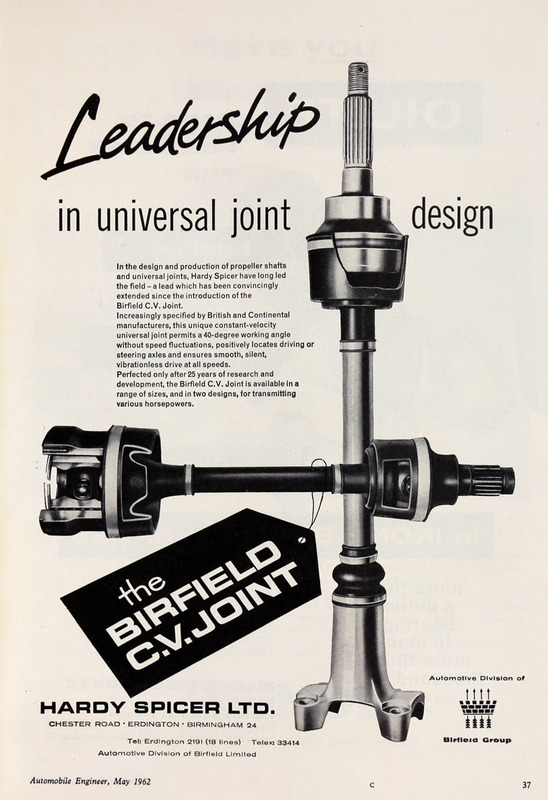 A Birfield company. 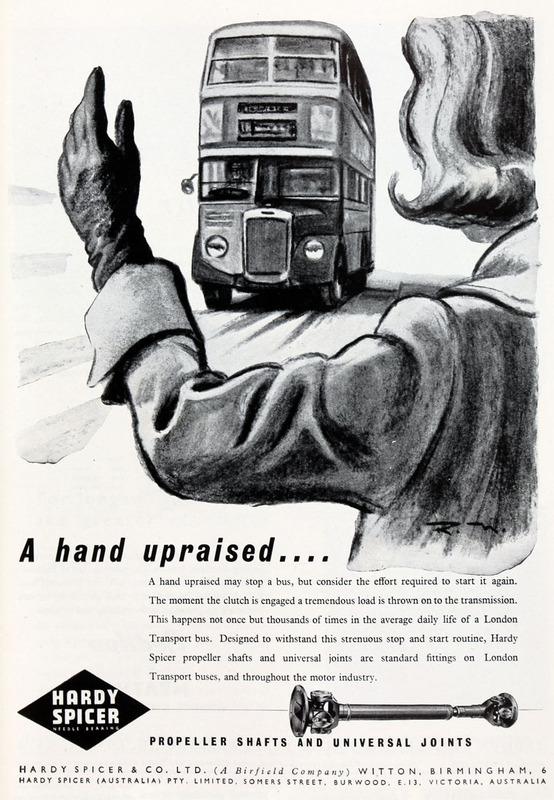 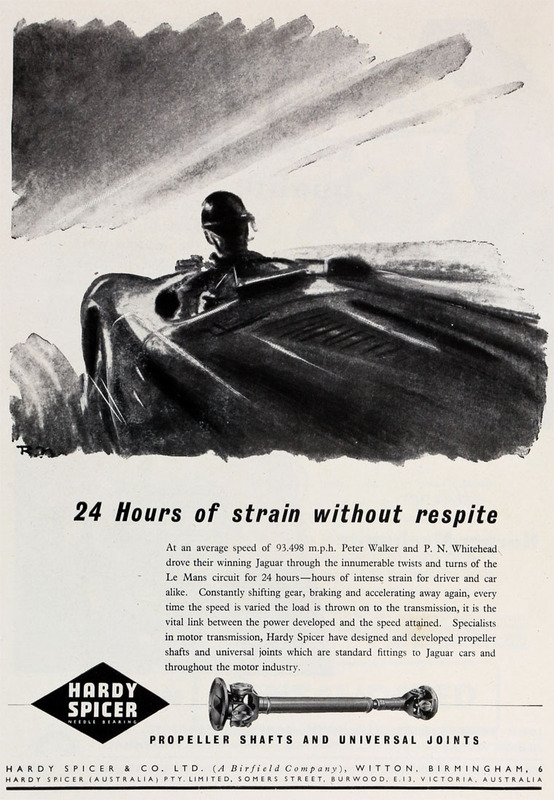 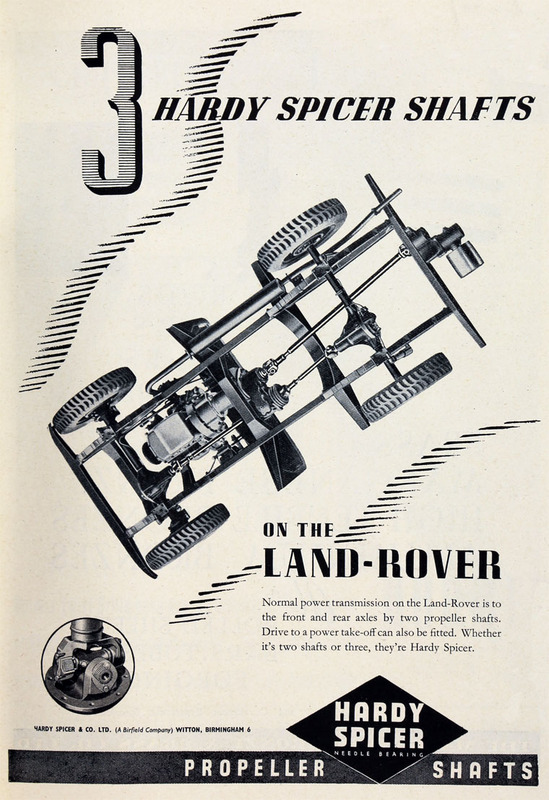 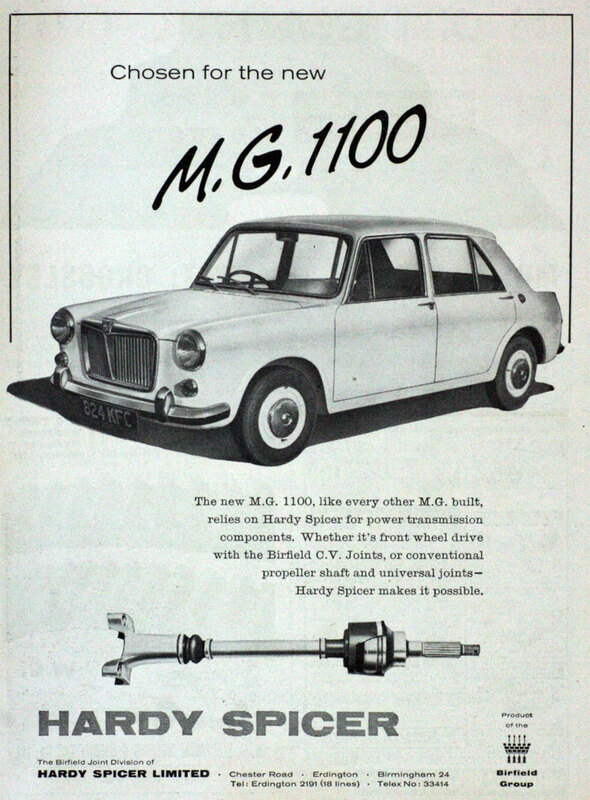 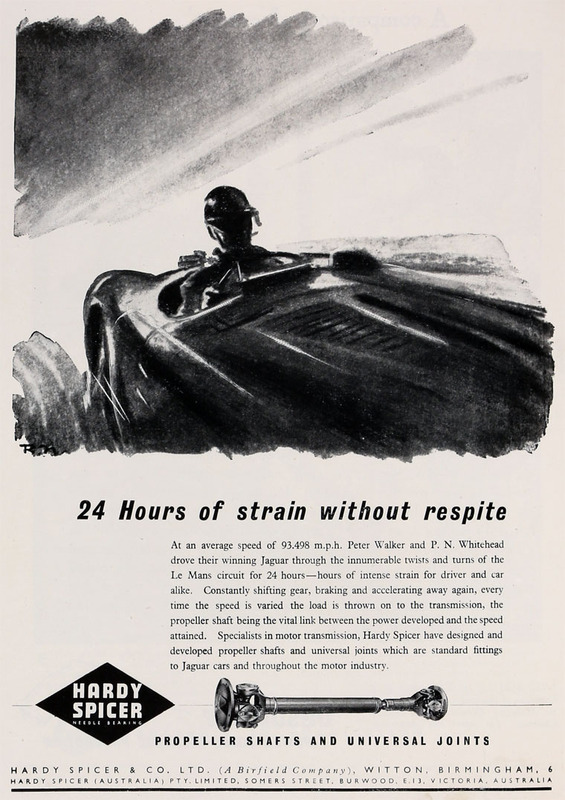 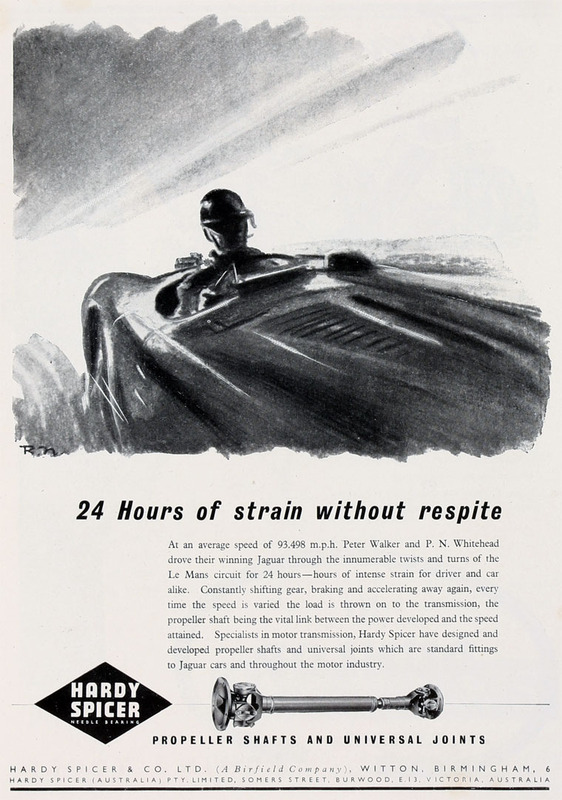 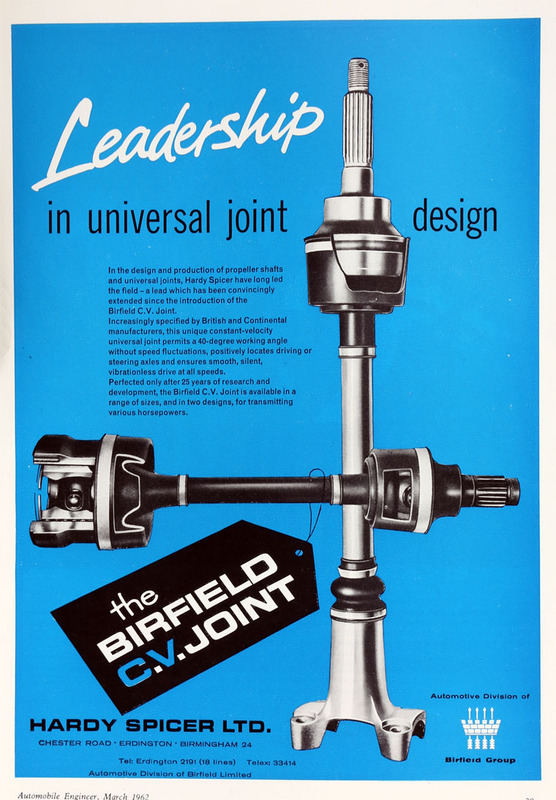 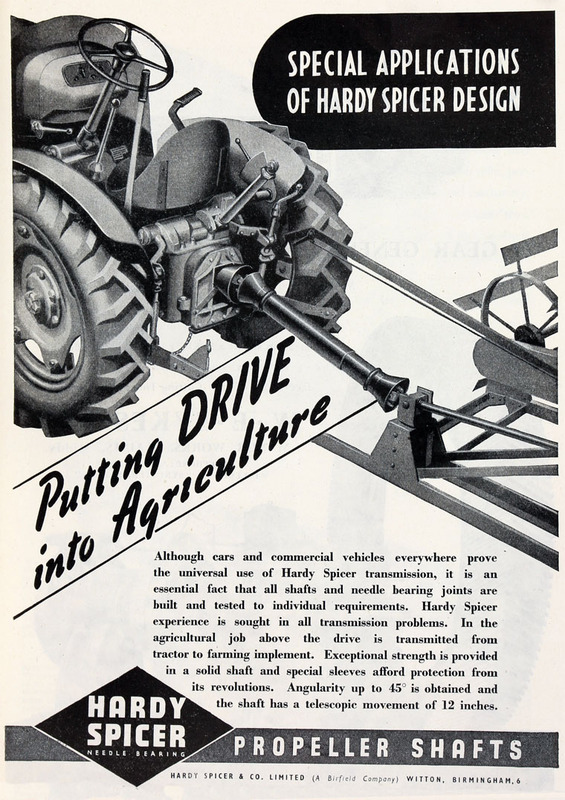 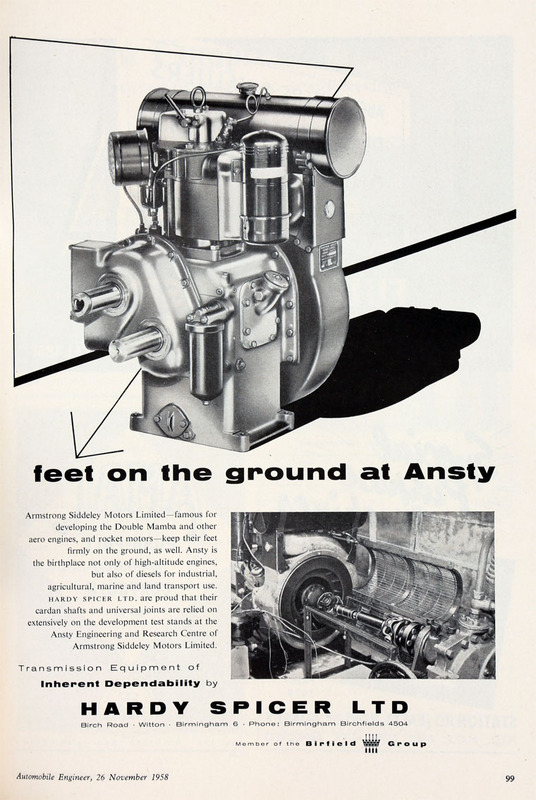 1961 Manufacturers of cardan shafts, universal joints and constant velocity joints for motor and agricultural trades. 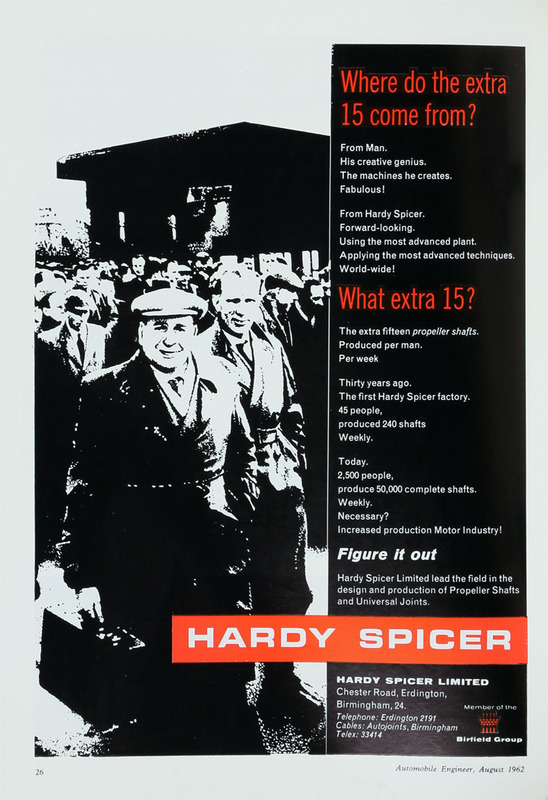 2,500 employees.